Rate this Article A guide on how to pick your very first horse in horse simulators. Every activity has a beginning. When playing Horse games, the first step to your journey as a virtual horse trainer and breeder is to pick your first horse. Now, you can always pick another horse if you’re not happy with the first one you choose, but that would’ve meant wasted time. You should be spending more time enjoying your horse simulator instead of having to fuss over your initial choice. So, to help you out on that one, here are some tips that we think should help you in making the ideal choice when starting your journey as a horse breeder. Your first concern, although this is not always the first step in virtual horse simulators, is to decide what you want to do with the horse. Would you like to enter it into races? Do you prefer the other horse competitions like dressage and eventing? Or would you rather breed and bring up horses for sale to other players? Once you’ve made up your mind on what to do with your horse, then you are one step into the selection process. Selecting a breed requires you to take into account your intentions for your new buddy, as each breed is ideal for one task and could be unsuitable for the other. There are breeds that are excellent in racing, but are not ideal for eventing, and vice versa. This step requires a lot of research on your part, as there are quite a lot of breeds to choose from! However, that should not be a problem for you because information is readily available online. 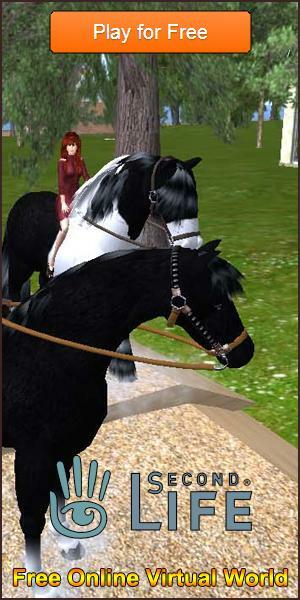 Plus, some horse simulators already provide you with useful information in each horse breed’s profile within the game. All you need to do is spend time to read up before you make your choice. In other words, all that you need at this point is the willingness to do research or to read up on some information. Some games even give a specific horse breed a rating as to how effective it is in a certain event. Finally, you’ll be asked to choose the gender of your horse. This aspect of virtual horse breeding is literally under-appreciated. Picking the gender of your horse can actually have an impact on what activities that you can do with it! When you pick a male horse, for instance, it can also be put up as a stud to breed other horses. On the other hand, a female horse or mare can be used as a dam, or mother horse, for breeding. In any case, both of these activities can help you earn extra in-game cash. They put an additional layer in the gameplay mechanics, enhancing your full player experience within the horse simulator. As you can see, it’s not really difficult to choose your first horse in the virtual horse simulators that are popular nowadays. It just takes time, but the time spent in picking your first horse will also mean that you’ll have a great experience from the simulator.